What is ERP? Fortunately, I’m here to answer that and to give you some ideas for your online business and where understanding (and implementing) ERP can be helpful to you and your business. ERP stands for Enterprise Resource Planning. 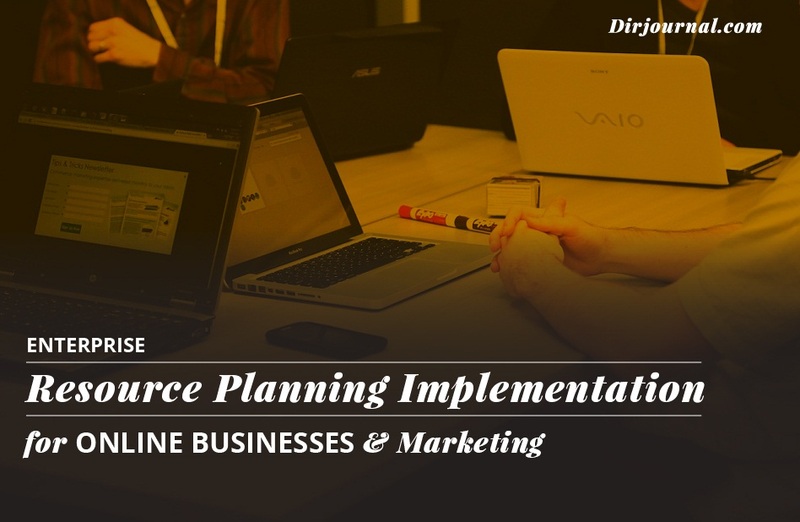 Even if your online business is not an “enterprise,” per se, understanding ERP can help you in your strategic approach to many aspects of running an online business, including internet marketing. I have always found it interesting that an activity (keyword, “planning”) is described as a “software,” which does not quite sound right, grammatically speaking. But, that is ok. We are going to look at it as software, first, then break it down into activities that you are probably already doing, so we can see how they flow together. The idea behind ERP (or I should say, one of the ideas), is that it automates repeatable tasks. Those activities and tasks which can be automated are automated and integrated with other software or other parts of the same (ERP) software. Before we talk about ERP, let’s assume that you have your ERP defined and all figured out and you are ready to make that move. You would need to implement the ERP migration. What is a migration tool? Let’s put it this way. Even if you decide to implement an ERP, you cannot just drop everything, snap your fingers, and start everything in the new process or new software. Somehow, you need to be able to track what is doing what and where you are in the process. Even though ERP makes your life easier and hopefully more profitable, you need help in the migration. That is where an ERP tool like Panaya comes into play. Panaya is an example of a company that helps to get those automation services working. They have been around for a little while, as an enterprise automation company, and were just recently acquired by Infosys in February of this year (2015). They made the news and also augmented Infosys’ service offerings by providing a way for Infosys to help their clients to have the most efficient solutions, saving time and money. These are two critical elements in any business! As you can see from the video, above, the client (i.e. YOU), would also be saving time and money, as a result of this software. It is helpful that the example that is provided integrates a CRM that many of us have heard of, if not used (Salesforce). Let’s go back to the main point of this article, and that is the understanding of ERP and why that understanding is helpful to you as an online business owner. It is pretty clear to see where software like that which Panaya provides, is helpful and can be beneficial. This is especially true when we see things like “pain points” and that those pain points are addressed and resolved. That said, it is often helpful to understand the basics, so let’s take a step back and discuss the basics so that we understand what we are getting into with ERP. see where we can build to a point of implementing an ERP in the future. Either way, this exercise may provide ideas that we can use now, in our current online business, while we assess and plan our final approach. Let’s look at the following aspects of a flow chart from inception to delivery. Let’s assume, for simplicity, that this is a digital product or a virtual service (in other words, no shipping of tangible items). Product Design: whiteboard with cool markers and erasers. If developing the product as a team, the use of Google Docs, Google Sheets, Skype, Dropbox, and similar tools can prove helpful in collaboration. Order Fulfilment: Similar to product design, this needs to be designed, like a flowchart. The same tools that are suggested in product design could be used. This is also when you want to bring a web developer into the mix and consider software like WooCommerce for the WordPress site (as an example). Social Media Marketing: For efficiency (which is a key element in ERP), you will want to consider social media marketing software like Oktopost, HootSuite, or Buffer to schedule social media updates and space them out for the most effective strategy. Also, by using something like IFTTT, you can post once on one social media platform and have it automatically trigger a response on another platform. CRM: At first, it seems like you can just remember the clients, but over time you will want to find a way to keep track of these clients, for follow-up and upselling. A great tool is Ninja Outreach, which can be used for the initial lead generation and continued for a light CRM. Another option (not inexpensive) is to use Salesforce or vCita (which also includes scheduling). So, when we look at our list, it includes some free options and some expensive options. Now it is time to evaluate how that fits in your budget. Another thing to keep in mind is that you may increase your budget by making more money and saving more money when using an actual ERP (like Panaya, above) instead of individual products/services (like those listed above). How does this all work together to be an ERP? Well, by definition, the individual activities or tasks are not an ERP, but it can be used to help identify the processes that are taking place. This helps you to distinguish what you need where. You really want to identify that which can be automated (i.e. not requiring a human being) and that which is repeatable. A couple of helpful tools, online, are IFTTT or Zapier. These two platforms create a sort of “bridge” between software applications, social media marketing sites (platforms), and more. If you think about it, anything can be automated. It may not be automated to the fullest extent, but if it happens online, you can use IFTTT or Zapier to automate it to a point, even if it is automating an email to yourself to remind you to do something offline. Rather than trying to explain that, it is easier to give you some recipes to use in the two platforms. The articles, above, should get your creative juices flowing. Then, as you understand the concept of efficiency and saving time (which saves money! ), you can improve the automation of your business more and more. You may even find yourself gravitating toward that ERP software of your choice. Happy automating!